An entrepreneurial middle-eastern man, Reza, tries to get a large-scale business off the ground without financial support, as he works at a car wash to make ends meet. He has everything it takes to be successful; he just needs an opportunity to prove what he can become. Joseph Simmons is a Yorkshire Filmmaker working out of Harrogate in the North of England. He completed his BA in Philosophy at the University of Manchester in 2015 and collaborated with independent filmmakers during his time there. He has travelled around the world making short films as part of the underground non-profit film movement called the KINO Movement. 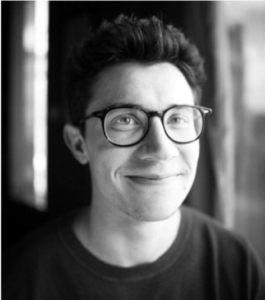 Joseph completed an MA in Filmmaking at the Northern Film School in Leeds, where he directed the short film Impression, and has founded his own film production company called Will-O-Wisp.